The Apple Music film is coming soon. Nicki Minaj has shared two clips from her forthcoming Apple Music documentary, Queen. 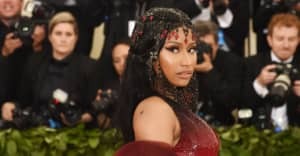 The film was made during the recording process of Minaj's 2018 album of the same name and, in the clips shared on Instagram, sees her discussing two abusive relationships from her past. In the first clip Minaj recalls trouble in her parent's marriage. "I remember when my mother would let my father be violent with her," she says holding herself close on a sofa. "And she always brings up this story, as a little girl I would stand in front of my mother and go like this, [mimes holding her arms out]." "Maybe some people would describe me as abrasive or bitchy or whatever, because I vowed from that age no man would ever abuse me, call me out my name, treat me like that, and all of a sudden that was my life," she added. 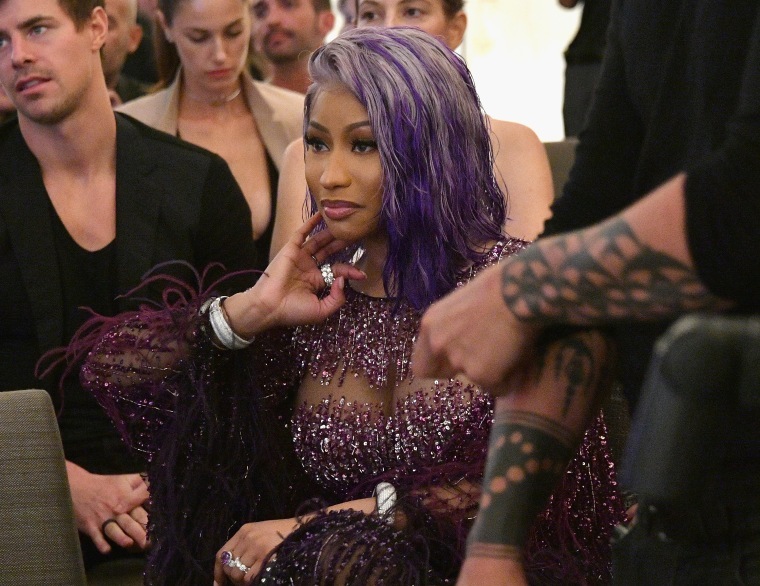 The second clip shows Minaj talk about a bad relationship of her own, one she claims left her with such low self-esteem she struggled to make music. During this period Minaj states she was "so low, I didn't even remember who I was." Eventually, however, she came through this and recoeded Queen tracks "Good Form" and "Coco Chanel" soon after. The Queen documentary is "coming soon," according to Minaj.